In a previous article I talked about the recommended vegetable oils and essential oils for dry skin. 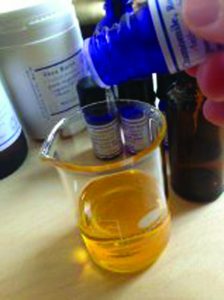 Today I would like to introduce you to the method for making a moisturizing serum (facial oil) that can be made using those oils. 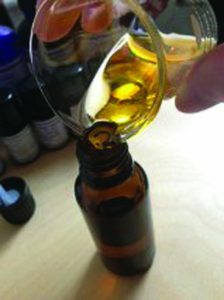 ※　Essential oil may be of one type. Let’s keep the blends up to three only. ①　Add 30ml of vegetable oil to a beaker. 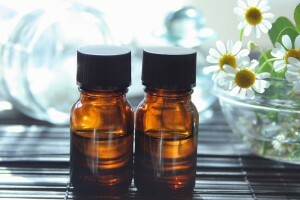 ②　Add 3 to 6 essential oils to ① and mix well with a glass rod. ③　Place ② in an amber bottle. ④　Mix well and get ready to use! 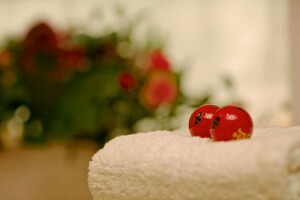 Vegetable oil is an excellent source of moisturizing and nourishment for your skin. 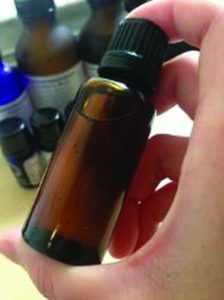 This serum can be used as a nourishing moisturizer before going to bed, as a facial oil for self massage, and as a facial mask using the ODT method. 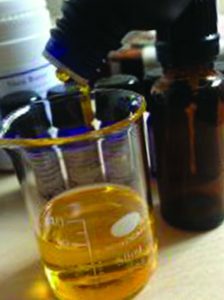 In addition, simply by changing to a different vegetable oil or essential oil you can make facial oils or body oils too.